Are you documents to send not of a standard dimension? 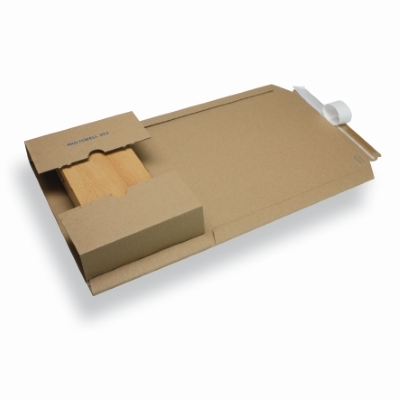 The Variable height mailing carton is your solution. The middle of the packaging can be of a variable height, in this way your products can be sent in a decent and safe way. The variable height mailing cartons are available in craft or white and are supplied with a flap with peel and seal strip.